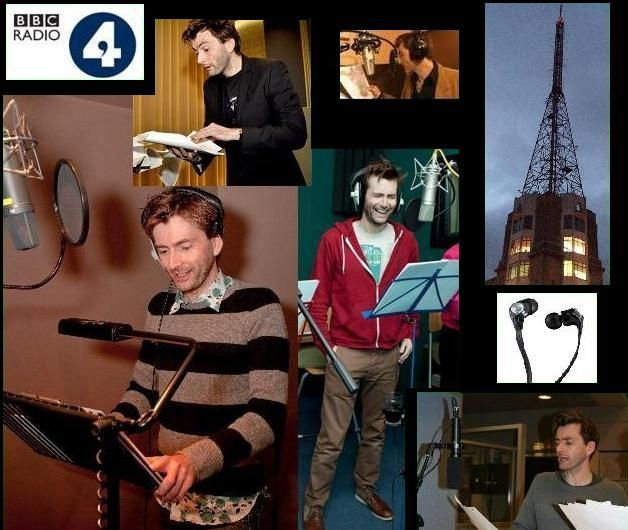 "Acting on the radio is challenging, inspiring, delicate and always a privilege"
The mission of this website is to provide a resource on the audio work of the Emmy award winning British actor David Tennant, encompassing radio, audiobooks and voice-over. If you are looking for information on David Tennant's theatre work click here. The BBC RADIO INDEX contains a list of the radio plays, dramatic readings, and radio series that have either featured or starred David Tennant. The AUDIO CD INDEX includes David's work for Big Finish Audio, the Doctor Who audiobooks, the How To Train Your Dragon series and many more audiobooks from every genre including crime, comedy, fantasy, romance and children's literature. The VOICE OVER INDEX contains the narration work David has provided for numerous TV documentaries, his work on animated features, adverts, charities and polictical ads for the Labour Party. All entries have a sound clip to accompany them whenever possible. If you have any of the missing audios please contact the webmaster. I am actively seeking information on the radio plays, Goloschin, broadcast sometime pre-1992/93 and The Tragedy of Two Virtues, broadcast sometime prior to 2000.